Netflix is bringing more graphic novel influenced narratives to the fold. 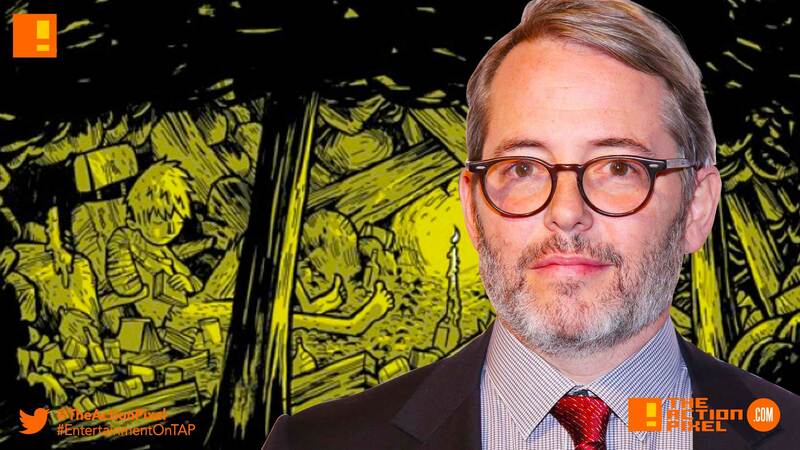 The announcement of Daybreak – the apocalypse comedy/drama has announced casting, with Matthew Broderick set to portray the character of Principal Burr. Described as the cheerful, upbeat principal of Glendale High, Burr knows the name of every kid in school and their favourite character to play in Overwatch. In a hashtag-filled world of #metoo and #blacklivesmatter and #timesup, Burr is genuinely trying to be part of the solution: a good guy, an advocate and ally for all. But let’s face it, kids can be monsters. Based on the graphic novel by Brian Ralph, the subversive dark comedy Daybreak finds 17-year-old high school outcast Josh searching for his missing girlfriend Sam in post-apocalyptic Glendale, California. Joined by a ragtag group of misfits including a pyromaniac 12 year old Angelica and Josh’s former high school bully Wesley, now turned pacifist samurai, Josh tries to stay alive amongst the horde of Mad Max-style gangs (evil jocks, cheerleaders turned Amazon warriors), zombie-like creatures called Ghoulies, and everything else this brave new world throws at him. The series consists of ten episodes from co-creator / showrunner / executive producer Aron Eli Coleite (Locke & Key, Star Trek: Discovery, Heroes), co-creator/director/executive producer Brad Peyton (Frontier, Rampage, producing through ASAP Entertainment), and NW / EP Jeff Fierson (Frontier, Rampage, producing through ASAP Entertainment). Matthew Broderick will also be featured in a guest arc on the Rosanne spinoff, The Connors, as Jackie’s boyfriend, and will be recurring in FX’s comedy series, Better Things. Marvel + Netflix’s “Iron Fist” and “Luke Cage” get cancelled. What now?